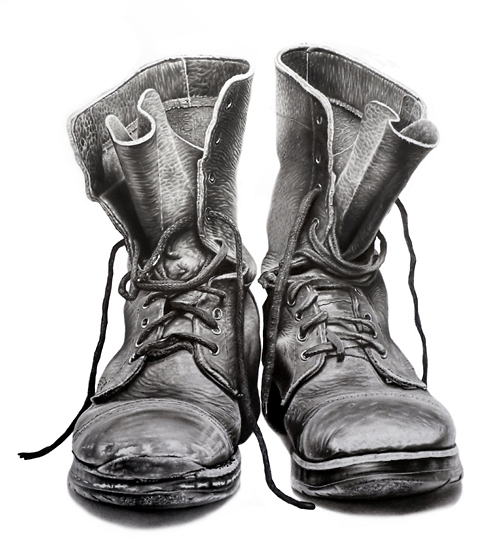 Here is my latest drawing, an old pair of boots. I love the original photo I worked from because of all the detail that was visible. Detail allows for the opportunity to create a realistic piece of art. 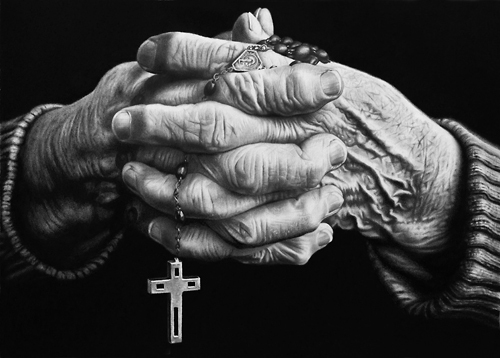 This drawing was done in graphite with a carbon pencil on Arches watercolor hot pressed paper, which allows the artist to render detail and smooth values. I have always been fascinated with people's hands. I instantly knew I wanted to draw this subject. Here we have a combination of graphite and charcoal on Stonehenge paper. Approxamitely 45 hours over serveral months. My most favorite part was drawing the right sleeve and the cross. 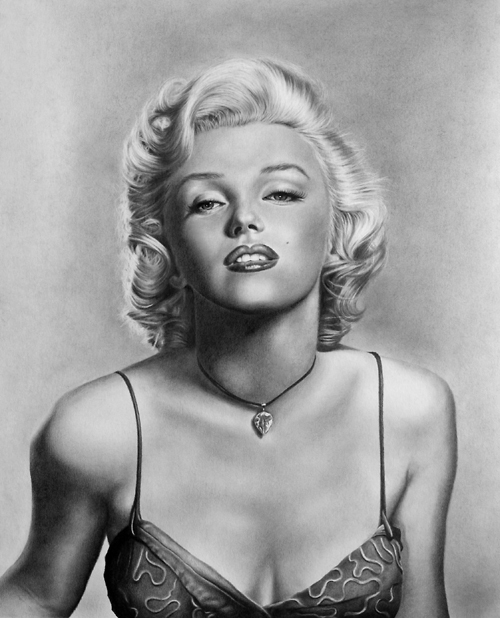 I created this drawing of Marilyn as a study that is part of my instructional book 'Super Realistic'. This is graphite on Canson board. I worked on this drawing for approximately 60 hours. This is a mix of graphite and charcoal on Arches watercolor paper. I loved the challenge of drawing the chain. Getting the values and shapes accurate was imperative to successfully render the likeness. 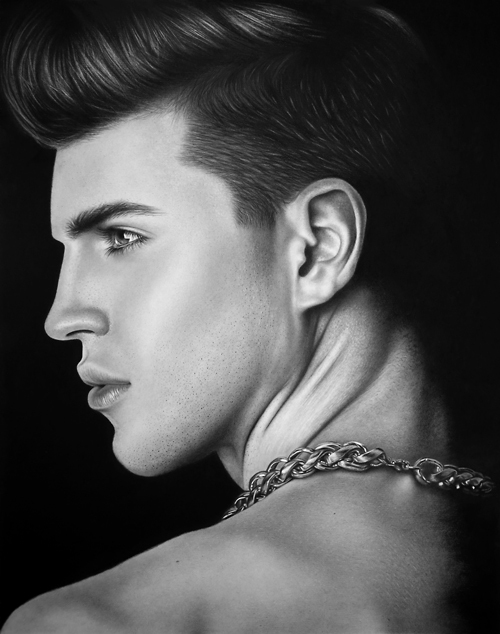 The most time consuming part of this drawing was rendering the skin and getting the tones and values right. Dimensions are: 18 by 22 inches. Ocassionally I focus on smaller drawing projects to illustrate a point or just to try a new technique. 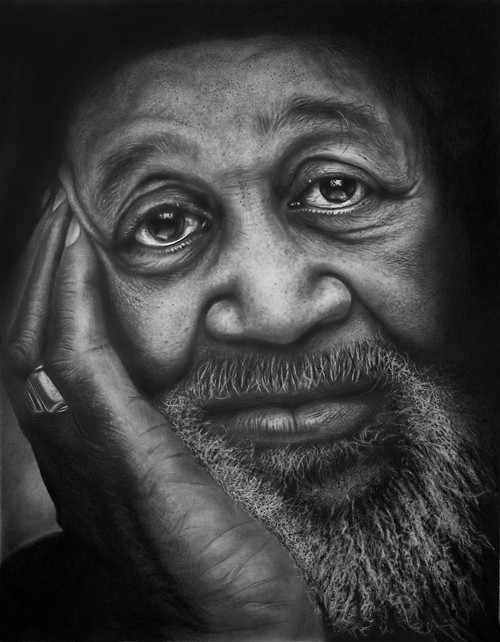 Loved rendering the face of this older man. This is graphite on board. 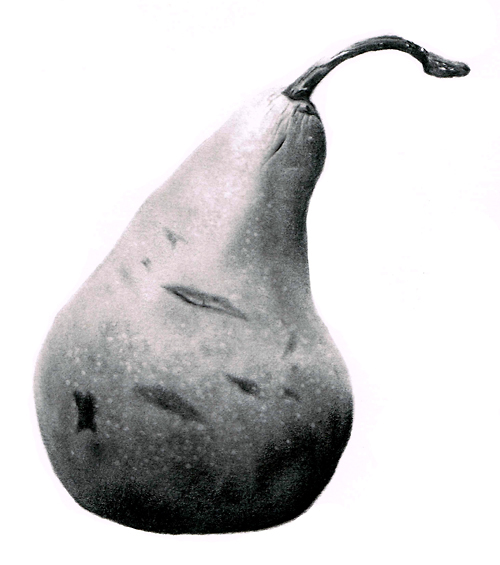 This pencil drawing I did in 2000 and was done on smooth Bristol paper. 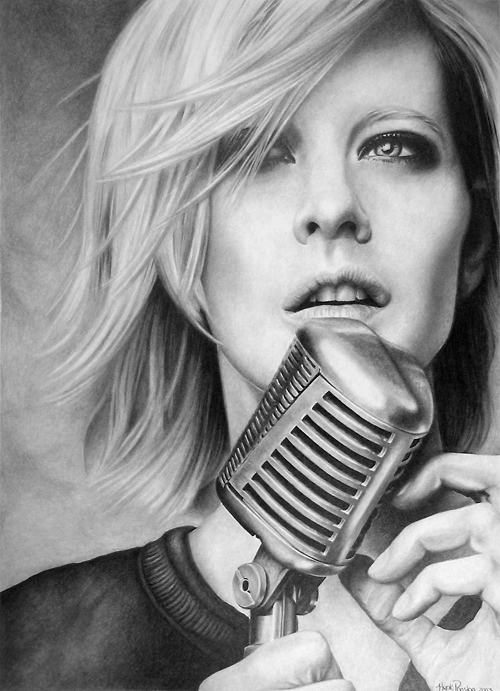 Loved rendering the microphone.